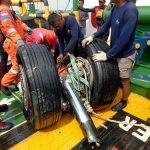 The implications of last month’s fatal Lion Air jet crash continue to hang over the travel industry, with answers needed following indications that the plane’s pilots fought desperately and repeatedly against a computer-directed nosedive. A draft of a preliminary report published by Indonesian officials looking into the crash paints a grim picture of Lion Air pilots struggling to maintain control of their brand-new jet as an automatic safety system repeatedly pushed the plane’s nose down. Indonesian investigators, who have been poring over details from the jet’s flight data recorder, suggest the plane was not airworthy and should have been grounded over a recurrent technical problem before its final fatal flight that killed 189 people. Experts, and the travel industry generally, need answers because the type of plane involved, the 737 MAX, is the latest generation of Boeing’s most common narrowbody aircraft, with more than 200 delivered since it entered service last year. The 737 MAX is set to become one of the world’s most widely used models. As of 30 September 2018, Boeing had 4783 firm orders from 98 identified customers – including in Australia – for the 737 MAX. The MAX aircraft is reportedly fitted with an automated system that pushes the nose down if a sensor detects the nose is pointed so high the plane risks entering an aerodynamic stall. Peter Lemme, an expert in aviation and satellite communications and a former Boeing engineer, told US news agency AP that this automated nose-down feature was triggered 26 times on the doomed Lion Air flight, but pilots failed to recognise it and follow the procedure to counter it. Lemme said the crew of the fatal flight were apparently not warned that similar problems had occurred on previous flights and that the Lion Air jet was not fixed after those flights, ABC News reported. Boeing is working with investigators to work out exactly what happened. Boeing has issued a statement reiterating its condolences and sympathies to the families and loved ones of those aboard Lion Air Flight 610 and stressing its commitment to safety. “As our customers and their passengers continue to fly the 737 MAX to hundreds of destinations around the world every day, they have our assurance that the 737 MAX is as safe as any airplane that has ever flown the skies. 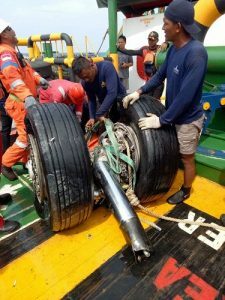 “Boeing appreciates Indonesia’s National Transportation Safety Committee (NTSC) for its ongoing efforts to investigate the causes of the accident. Boeing is taking every measure to fully understand all aspects of this accident, working closely with the US National Transportation Safety Board (NTSB) as technical advisors to support the NTSC as the investigation continues. “Earlier today, the NTSC released its preliminary accident investigation report. The report provides detailed accounts of Flight 610 and of the immediately preceding flight of the same aircraft. “The report explains that the maintenance logs for the accident aircraft recorded problems related to airspeed and altitude on each of the four flights that occurred over the three days prior to Flight 610. The logs indicate that various maintenance procedures were performed, but issues related to airspeed and altitude continued on each successive flight. The logs indicate that, among other procedures, on Oct. 27, two days prior to the incident flight, one of the airplane’s Angle of Attack (AOA) sensors was replaced. “On Oct. 28, before the flight immediately prior to Flight 610, the pilot in command and the maintenance engineer discussed the maintenance that had been performed on the aircraft. The engineer informed the pilot that the AOA sensor had been replaced and tested. The report does not include records as to the installation or calibration of the new sensor, nor does the report indicate whether the sensor was new or refurbished. Although the report states that the pilot was satisfied by the information relayed by the engineer that the AOA sensor had been replaced and tested, on the subsequent flight the pilots again experienced problems with erroneous airspeed data, and also experienced automatic nose down trim. “The report states that the flight crew of the Oct. 28 flight turned off the stabilizer trim switches within minutes of experiencing the automatic nose down trim, and continued with manual trim through the end of the flight. The report further notes that the pilot performed three non-normal checklist procedures, including the runaway stabilizer non-normal checklist, which is a memory item prescribed by the 737 MAX Flight Crew Operations Manual, and reaffirmed in Boeing Flight Crew Operations Manual Bulletin TBC-19 and FAA Emergency Airworthiness Directive (AD) Number 2018-23-51, as the appropriate procedure to address unintended horizontal stabilizer movement, regardless of source. “The report indicates that the remainder of the Oct. 28 flight was uneventful and that the flight continued to its destination. The report also states that, after landing, the pilot reported some of the experienced issues both on the aircraft maintenance log and to engineering. The report states that the pilot ran the runaway stabilizer non-normal check list, but it does not state that he communicated that fact in the maintenance documentation following that flight. “The following day, Oct. 29, shortly after taking off, the pilots experienced issues with altitude and airspeed data that the pilots had previously experienced on the earlier flights, due to erroneous AOA data. Data from the flight data recorder summarized in the report also makes clear that, as on the previous flight, the airplane experienced automatic nose down trim. In response, the flight crew repeatedly commanded nose up trim. This sequence repeated for the remainder of the flight, during which the flight crew was able to maintain control of the airplane for approximately ten minutes. Unlike as is stated with respect to the prior flight, the report does not state whether the pilots performed the runaway stabilizer procedure or cut out the stabilizer trim switches.